A house is not a home without a quality, beautiful roof over your head. Colorado is rapidly growing and new homes are being built at a great speed. Interstate Roofing has extensive knowledge of Colorado’s bipolar weather conditions and can provide expert advice on the types of materials you’ll need for a new roof in Colorado. How often do you think about getting your roof replaced? Getting a new roof can seem somewhat frightening or even discouraging if you’ve never done it before. How do I know if my roof needs replacement? Most homeowners know they need a new roof when they see spots or leaks in the ceiling, but there are other tell tale signs that your roof is needing to be replaced. What type of roofing material is best for my home? We know the importance of your home investment and want to help you make it last for many years to come. 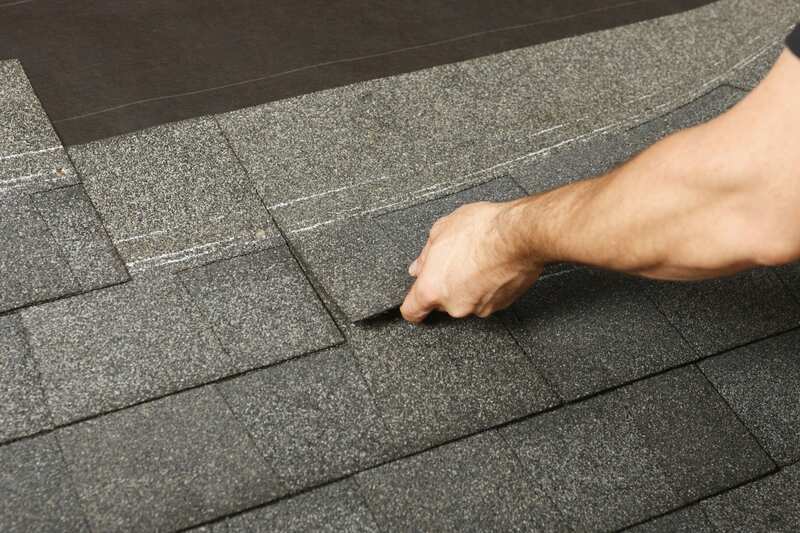 Choosing the correct material can be the deciding factor in a roof’s durability. 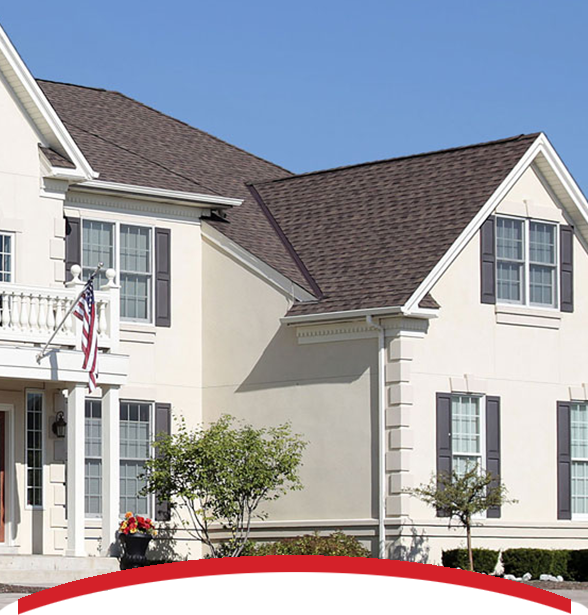 Interstate’s roofing experts will provide you with the best options out there for a strong and reliable roof. We will discuss each roofing material to you when we meet, as each roof has its own pros and cons. Considering a new roof requires many different elements that are important to recognize when making the decision to get a new roof installed. So what exactly does the roof replacement process look like? Below is a detailed step-by-step process about what to expect, so you can feel prepared. Debris and dust falling from underneath the roof is inevitable, we suggest covering all important areas in the space as well as covering any equipment you may have near our work area. This work also produces some noise as well as vibrations, which can disrupt things such as ceiling fixtures or items hanging on walls. Please temporarily remove or protect these items. It may be beneficial to temporarily move any employees who may be disrupted by the project. Please inform us of any building or parking lot restrictions that are in place. Materials are delivered about two days before the scheduled project time, and they are commonly kept on the property. While usually delivered straight onto the roof, some circumstances require the material to be stored in a parking lot or surrounding area. In this instance, please secure an area for the material and communicate to us where this is. Roofing material takes up space, so please be sure the storage area is out of the way so we do not disrupt any day-to-day operations. It’s time for the installation of your new roof! Our team will arrive at the agreed upon time and begin this process. If possible, we suggest having your main contact person on location. Though, if this is not possible that is okay and we assure you we will be working hard to complete all of your roofing needs! Our goal is to keep the project area as clean as possible as we work, but we do go over the area again once the project is complete. We use a magnetic tool to pick up any leftover debris from our project as well. We are happy to provide assistance in moving any items back to their original spaces, which were moved in anticipation of the roofing project. We hope all you will see once we are done is a new or improved roof and no other evidence of us being there! The roof is complete and any worry can be set at ease. After the installation, there may be small granules that will be washed out through the gutters. Please know this is completely normal. Sit back and relax and know your home is now more safe and secure with a new or repaired roof! We want to be completely transparent and to keep you confident and knowledgeable throughout our time together. Our roofing experts at Interstate are happy to walk you through the whole process and will help with making the best decision for you and your family.